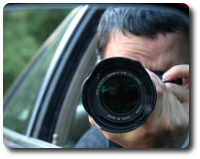 Chicagoland Investigative Services is an industry leader in video surveillance. Video Surveillance provides the best evidence available to identify fabricated or exaggerated claims, malingering claimants or fraudulent activity. Our investigative staff uses the latest technology available to obtain the facts you need to make a clear decision in bringing your case or concern to a conclusion. We are your partner and will always keep you interests in mind. Our licensed staff will never violate any laws in the process. And in doing this, our evidence will hold true in all levels of judgment from arbitration hearings to Federal court cases. Our field investigators are experienced professionals with many proven methods of obtaining the video documentation needed to make clear decisions. HD Video and High powered focal distances allow us to capture more evidence than ever before. All of our staff carry the latest technology in covert cameras. Hidden cameras that allow us to enter facilities that would be impossible with a hand held camera. It’s under these conditions that we perform best. Some call us lucky, but we like to believe that luck is simply when preparation meets opportunity. Should the video evidence we obtain need testimony from our staff, you can rest assured that our investigators can appear at anytime and anyplace. Video evidence obtained by CIS investigators has been used in many arenas including: arbitration hearings, workers compensation boards, pension committees, school district boards, state and federal trial courts. Consider the use of video surveillance as a valuable tool for your defense.